Just got home and it's time to go again. But that's what my life is all about: TRAVEL! Technology in hand, however, means I'm still no more than a dial or an e-mail away, whether at home in Toronto or our "pied-a-mer" in Victoria, or cruising at sea or discovering a new mountaintop resort, just call or e-mail anytime and I'm at your service. I'm off shortly to the International Luxury Travel Market in Cannes, France, and am greatly honoured to be included in this by-invitation-only annual event. Only 1100 VIP agents from around the world are invited, but on the other side of the table, everyone who's anyone in the luxury product sector will be there. It's an incomparable opportunity to learn, and to make contacts – all of which translates to better service for you, my clients. If I don't get a chance to see you personally before the New Year, here are my best wishes to you and your family for a wonderful holiday season and a new year filled with exciting destinations! Hotel Vestibul Palace, Split, Croatia - We had an opportunity to visit this amazing city on a recent vacation. Split is a city in which people have built their homes inside 1700-year old walls of Diocletian's palace, creating a unique living monument. Split is listed in the register of World Cultural Heritage and protected by UNESCO. Despite its age the city is eternally rejuvenated by 200.000 inhabitants who give it its typically Mediterranean charm. Hotel Vestibul is located in the heart of the Diocletian’s third century AD palace, between the emperor's chambers and the emperor's square, a place which used to be reserved only for the gods. The hotel was created by merging three palaces from three different periods: Romanic, Gothic and Renaissance where every stone has a story to tell, and is now a combination between the modern and the antique, where the modern design of the interior is interwoven with the original walls of the Roman time. The Landing, Harbour Island, Bahamas - India Hicks, famous as one of Princess Diana's bridesmaids, is now a renowned interior designer and brings us The Landing. This gracious, classic plantation-style seven-guest-room property is an easy five-minute stroll to the powder fine, pink sand beach, and includes a world-class restaurant featuring a contemporary seafood menu prepared by Chef Ken Gomes. Pink Sands may have some competition! Brentwood Bay Lodge & Spa, Victoria BC - Victoria is Canada's version of Paradise (and why we're spending some more time there ourselves). While famous for its delightful bed and breakfasts, and of course the senescent Empress Hotel, there is only one five-star oceanfront resort on the Island: Brentwood Bay Lodge & Spa is a luxury boutique hotel with 33 perfectly appointed suites, an award-winning restaurant serving contemporary coastal cuisine, a casual pub, and a tranquil spa - and from every vantage point, the ocean views inspire and refresh. Here is a compilation of the Top Ten Coolest Hotels in the world - how many have you stayed in yet? Let's visit a few more together! And just for balance, a Top Ten List of the Quirkiest Hotels in the world. I bet you could add a couple to this list, too! -The Wachau Valley, a stretch of the Danube River in Austria. -The Danube Bend, where the river runs past the Borzsony and Cserhat Hills to the north of Budapest, Hungary. -The Iron Gates, a gorge (also on the Danube) between Serbia and Romania. -The Rhine between Mainz and Koblenz, Germany. -The Elbe, south of Dresden, Germany. -The Rhone, from Vienne to Tournon in southern France. -The Douro, from Peso da Regua to Pinhao in northern Portugal. -The Caledonian Canal and Loch Ness, part of the Great Glen bisecting Scotland amid the Highlands. -Kizhi Island, in Lake Onega, a stop along a popular Russian cruise itinerary following various waterways from Moscow to St. Petersburg, including the Kovzha River, which flows into the lake. -The Nile between Aswan and Luxor in Upper Egypt. Crystal: Taking Cruising to a new level! Having taken three cruises this year, I’m a convert. This has to be the wave (pardon the pun) of future travel. 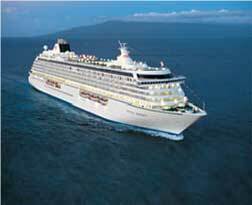 Our most recent was on the Crystal Serenity from Athens to Rome. Seven days and seven nights of absolute luxury, a veritable “Four Seasons at Sea.” We know the principal attractions of any cruise are destinations, cuisine, and only a passing acquaintance with your suitcase. But, with the exception of the specialty cruises, such as the Star Clipper, the biggest deterrent is crowds. If you have had a less than wonderful cruise experience with another line, it’s time you sailed the Crystal seas. If you have never had a cruise experience, now is the time. You deserve the best, and Crystal delivers it.